In 1693 the Duke Estates granted a Lease for 99 years on a cottage, barn and garden in Otterton to John Halse, husbandman (DRO 96/M Box 50/4). Before 1778 Robert Barns and then Clement Halse were holding the lease. Then on 12th. 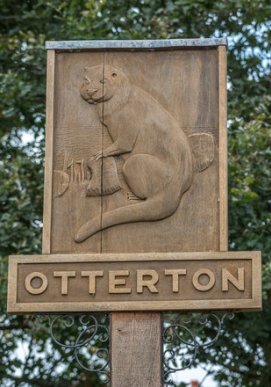 February 1778 a new lease was granted to Thomas Halse for “Dwelling house, garden, close and little orchard called Pinn Lane of 2 acres in Otterton. Rent 4/- pa. (CDE 20084). This cottage/house, after a rebuild became present day “Otter House”. Pinn Lane Close was near the junction road to Sidmouth and road to Northmostown. 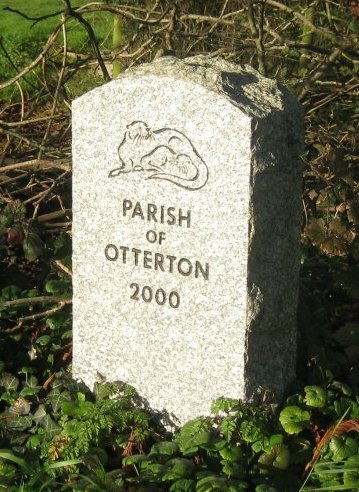 The Halse’ were farmers (husbandmen) and Thomas had his house with barns in Otterton and Pinn Lane Close and other fields scattered about the Parish. Thomas Halse died 8th. 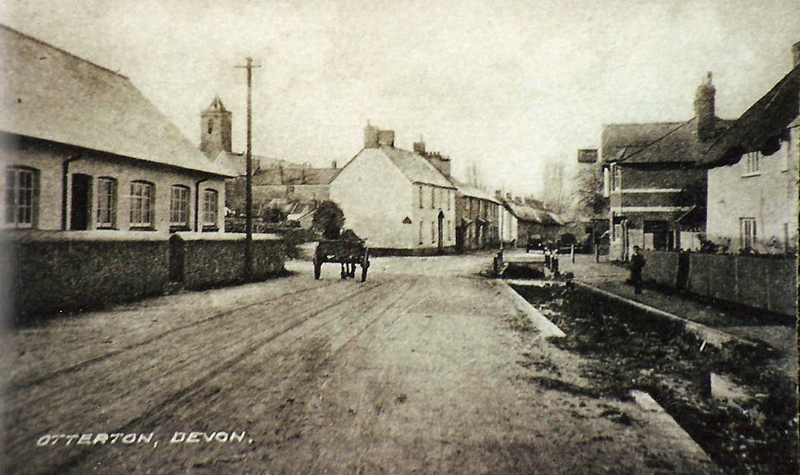 June 1836 while living in Exeter and his tenant at his house in the village was Thomas Vilday. 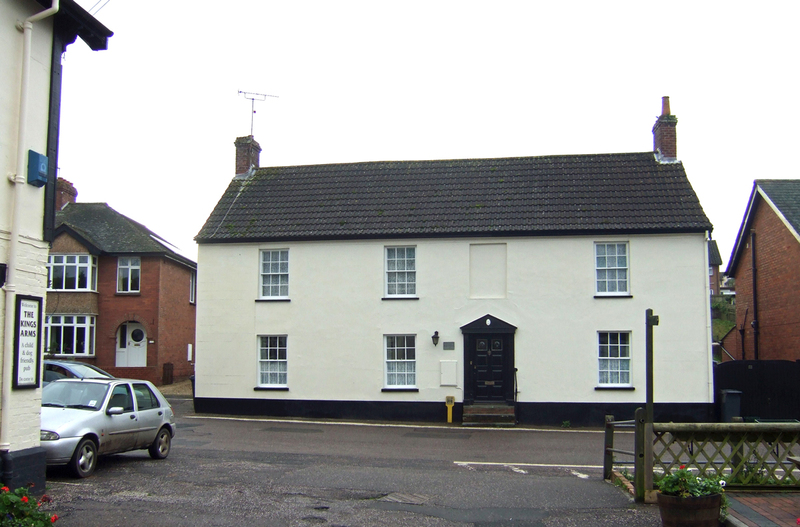 A new 99 year lease was granted to John Hayman of Otterton, yeoman dated 15th July 1836 for “Dwelling House, offices and garden” Rent 5/-. (CDE 20084) ( Pinn Lane Close was leased separately to Burnt House Farm). The house was held by the Hayman family at least to 1918. John (senr.) was born in 1791. His grandfather William came from Yarcombe and was farming Houghton Farm, Otterton in 1770’s. Haymans farm there today. John (senr.) died in 1871 and William, a relative, lived here followed by John snr’s. grand-daughter Miss Mary Ann Hayman. Directories 1902/1914 describe her as “Private Resident” and it is apparent that John snr and his successors were of some means. At the Tithe Award he and his family held leases on a number of cottages in the village. John senr’s surviving son. 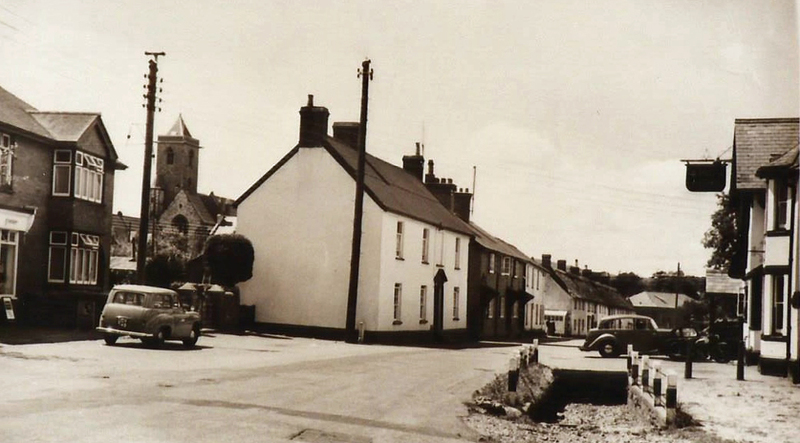 John jnr is recorded living in East Budleigh as a sawyer, married to Mary Ann Hitt and attending Salem Chapel and seems not to have lived in Otterton. It is not known when the house was rebuilt in its present form. Exterior walls are built of cob. It is possible the rebuild was carried out by the Hollett family builders in the early 1800’s. 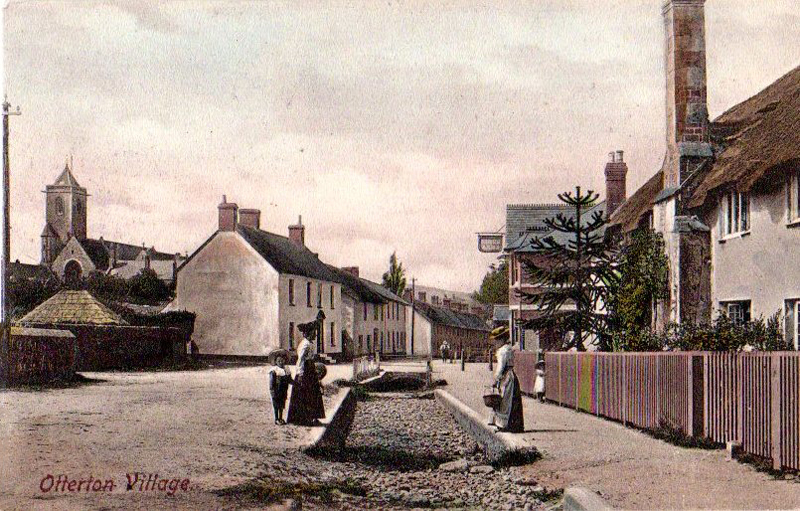 They had built the cob cottages on the south side of the Green between 1808 & 1814. Otter House may originally have had a thatched roof similar to The Green cottages. By the 1880’s it had been divided into two (Nos 61 & 62). William Hayman, age 70, in one and Mrs. Anna Hayman age 66 in the other. The Tithe Award and Map of 1844 indicates a building similar to today. Eliza Hayman was Leaseholder then and had rented it to William Evans. The Estate Survey of 1911 (CDE 20064) lists no. 61 (east part) Ellen Carter Rent £3; No.62 (west part) Miss Mary A. Hayman £2.12/- pa. The division into two houses probably came to the left of the present front door. The East wall was exposed in July 1997 to reveal stone & cob with a bricked in doorway. It is not known who lived in the Haymans House from 1918 to 1956, but Directories from that date list Mr. B and Mrs. Kathy Dyke as living at the house and it was called “Coolgreanie”. This name apparently derives from a Westcountry term for beer and it is suggested that the house was connected with the brewing trade, but we have seen no evidence for this. It was still called this in 1986/7 and probably renamed “Otter House” in the late 1980’s. The house is not listed. A listed buildings survey would probably reveal an interesting history. Copies of Leases (CDE 20084) held in file.